Most impressive detached family villa featuring beautifully presented accommodation sure to delight all who view. The splendid position of the property ensures substantial garden grounds with an expansive driveway. The flexible layout includes; vestibule, reception hall, cloakroom WC, lounge with bay window formation, separate dining room and fabulous dining kitchen again with bay window formation and French doors to the rear garden. The integral garage includes a useful utility area. The upper level offers landing area, four generously sized bedrooms with extensive storage and family bathroom. This larger style villa features en-suite facilities to the master bedroom and a further Jack and Jill en-suite to bedrooms 2 and 3. The high specification finish includes double glazing, gas central heating and security alarm system. 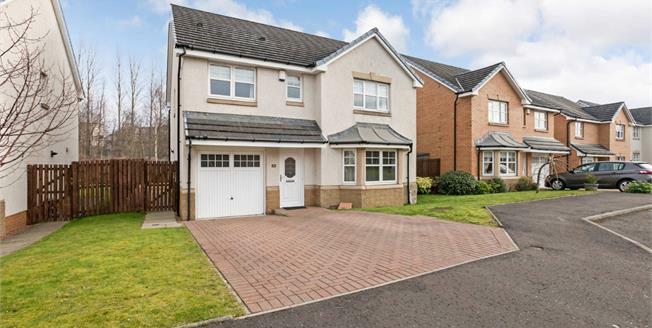 This locally admired development provides easy access to a wide variety of Motherwell facilities and this sizeable villa is an excellent example of it's kind.